Following their stellar runs in ARCA Racing Series presented by Menards testing at Daytona International Speedway over the weekend, young standouts Dylan Lupton (Empire Racing) and Clayton Weatherman (Lira Motorsports) will join the Stock Car Steel/SRI Motorsports Show tonight at 7 p.m. ET on the Performance Motorsports Network to discuss their respective performances. 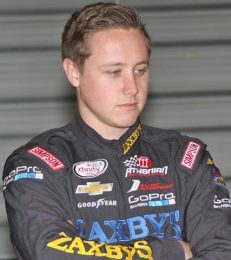 In addition to speaking with both drivers, co-hosts Jacob Seelman and Tom Baker, along with returning analyst Marshall Gabell, will discuss the four-man Mason Mitchell Motorsports effort that dominated the two-day testing session — with team owner Mason Mitchell topping the boards and making an early statement of speed ahead of the Lucas Oil 200. The power trio will also break down the entirety of NASCAR’s annual Media Tour, with team news galore and exclusive conversations with Rico Abreu, Landon Cassill and Ryan Blaney all on tap as 2016 prepares to storm in, bigger and better than ever! Fasten your seatbelts as the fastest short track show on the web takes a look at all the latest from the worlds of pavement late models, modifieds and the major regional touring series! Stock Car Steel and Aluminum / SRI-Performance is located in Mooresville, North Carolina. They are your best online source for metal and plastics along with the parts necessary to build your racing machine. They are an official motorsports partner of RaceChaser Online and Speed77 Radio.